Id Expert Form Maxi 3 are highly absorbent body shaped incontinence pads. The pads are ideal for managing severe incontinence. 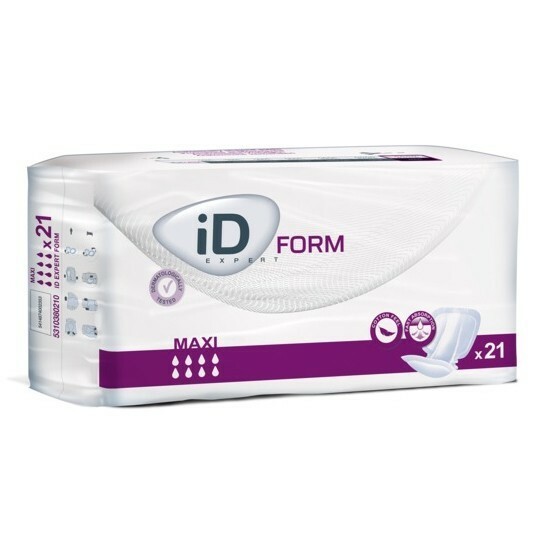 Id Expert Form Maxi Pads have been manufactured using advanced super absorbent polymer layers to effectively lock liquid inside the pad. We recommend using this product with Id Expert Stretch Pants for a close and comfortable fit. The iD Form Maxi 3 are latex free and have been dermatologically tested to ensure they do not irritate or damage the skin during use. The cotton feel material in the pads ensures you are provided with maximum comfort and a pleasant feel during use. Special odour control technology is included in the pads to reduce the risk of ammonia developing. You can therefore relax and enjoy your day without the worry of any unwanted odours. 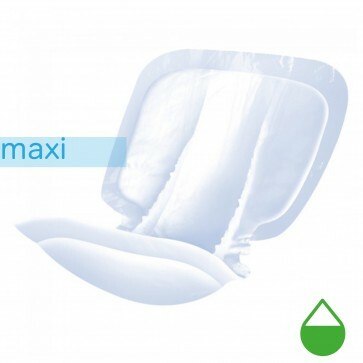 Id Expert Form Maxi are anatomically shaped for a close and secure fi, ensuring maximum protection.